Grimmsters let out a collective gasp when it looked like Bitsie Tulloch was leaving the show after the tragic death of her character, Juliette. 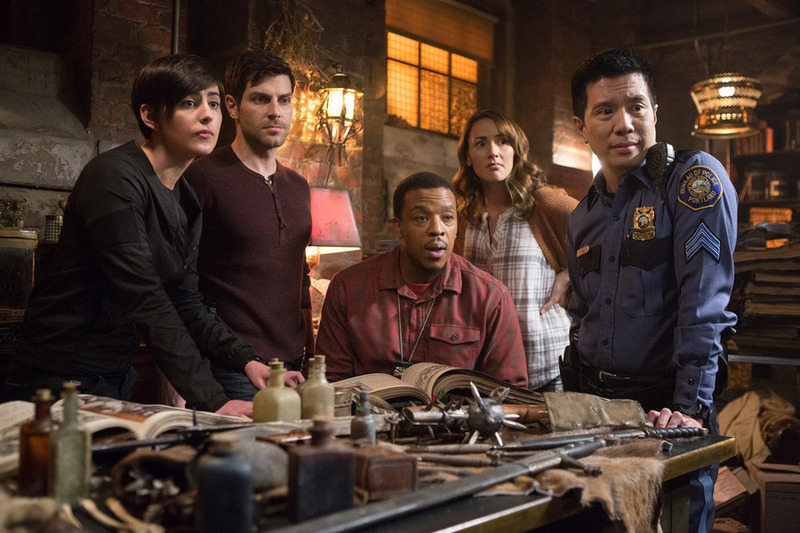 Fortunately, Tulloch continues to be a part of the Grimm family and has returned as the enigmatic Eve. OHSOGRAY recently participated on a press call where Tulloch talked about how her character’s death/rebirth came about and how tough it was to keep the secret from the fans. How do you like how your character’s developing and changing and growing more powerful? Bitsie Tulloch: Well I mean too – I mean if you really track from Season 1 to Season 5, I feel really blessed because how often do you really get to play multiple characters on the same TV show. This is I sort of view this obviously Eve to me is really the third because there was like good, sweet Juliette. Then there was dark hexenbiest Juliette. Now there’s been a rebirth of sorts. We have an entirely new character. […] I’ve definitely been grateful the writers because I get to – there’s something to be said for getting to know a character so well. But it’s also fun to play around and experiment. So, I was really thrilled about the hexenbiest story line just because Juliette had been so consistently good and thoughtful and helpful for so long. I thought if anyone’s going to turn and be so bad and so evil and so powerful, it should be her. So, that was really exciting for me. I will definitely admit that I had a little bit of mixed feelings when they – the producers called me in March and then said, “This is our idea going to Season 5” because it was hard to say goodbye to Juliette. By that point, I had played her in various iterations, whether good or bad, for four years. So I knew I was going to miss her. I knew it was going to be hard to say goodbye to her. But, I’m having a blast with this new character Eve. It’s really fun. I got to do a lot of research. They were saying you have to watch the Lupus on Nikita for inspiration. And then, as you now I was filming Season 5, obviously privately because no one was allowed to talk about it. And my name was even changed on the cast sheet and everything queue so that no background […] would even know it was me. They were great about – there were lots of layers to keeping the secret. But certain directors were coming on Season 5 and they’d be like, “Oh my god, you have to watch this.” David Strathairn came on and said, “You have to watch Hanna” with Cate Blanchett and Eric Bana. And watch her performance.” I’m not even going to try to pronounce her name. She’s such an amazing actress [Saoirse Ronan]. She’s in Brooklyn right now and was nominated for an Academy Award. You’ll know who I’m talking about. But – so I was watching that. And then I also was sort of pulling some inspiration from Alicia Vikander’s performance in Ex Machina. So it’s just been – it’s just been really fun, the new character. Were there any challenges physical or mental getting into this character? But I had to – which is why certain performance like the Ex Machina performance, I was like, “Alright, I’m going to take – I’m going to steal some of that – those robotic motions of hers” because this – the new character Eve is basically I don’t want to say brainwashed because she hasn’t been brainwashed. But she almost was broken. Hadrian’s Wall knew how powerful she was and kidnapped her. You know trouble – shot her with the what we now know are tranquilizer darts and basically broke her down and turned her into like a fighting machine. So keeping that in mind, that’s one thing that the new character’s like going forward. Then psychologically for her to really, truly feel like I’m a new person and Juliette is dead and “I’m not Juliette.” You’re talking about somebody, not me, it was really about having a complete disconnect from her old life and not even letting even a glimmer of emotion or anything like that, anything from her old life trigger her going forward. Does Eve have residual feelings from her past life? Are we going to find out that she still does care about Nick? 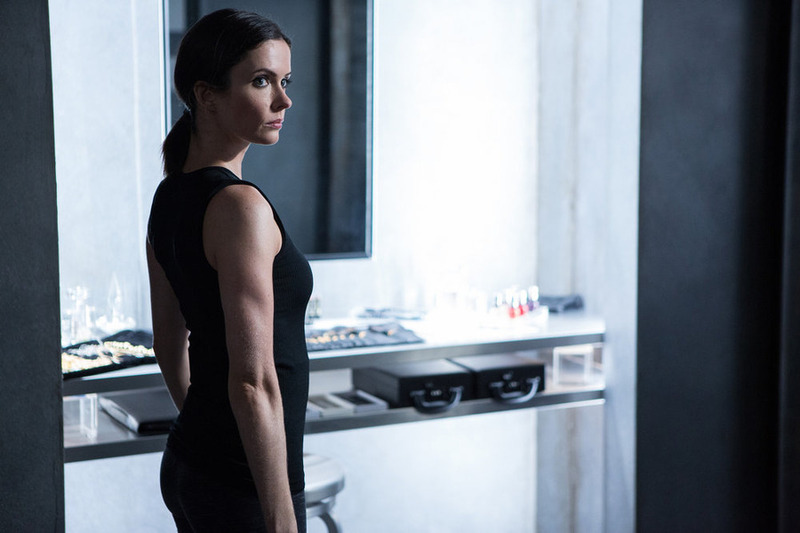 Bitsie Tulloch: Right now, her primary focus is getting the job done. There’s an episode coming up where she has kind of a heart to heart with Nick. I believe it’s in previews so I don’t think I’m going anything away. But she’s saying like this was the only reason she had to live. Because she was so powerful and so out of control and basically did not know how to rein in this the hexenbiest powers. Hadrian’s Wall has given her an outlet and taught her how to do that. But she’s so scared of even digressing even the slightest bit or devolving back into the evil Juliette, that she is – just couldn’t be more focused on being controlled and really just getting that job done. Obviously, Hadrian’s Wall is a powerful and positive group that’s basically formed in response to battling Black Claw which is like the big huge uprising that’s starting to happen. How do you think fans are going to react to Eve? Again, like Juliette’s not coming back anytime soon. I think it remains to be seen also answering more the previous question too whether or not she does start to develop feeling for Nick. It is TV. She did love him for a long time. Right now, like I said, she’s more focused on the work stuff. But, I have seen nothing but like pretty much overwhelmingly positive and excited fans reactions to me still being a part of the show and excited to see what the new character’s like. So I know it was a bummer for everybody that we had such a long break in between the fall finale and coming back this Friday. But I think it’s going to be worth it. And yes, it’s just a fun character and seeing how over the next few you know 5-6 episodes, she’s going to gradually be meeting her old friends. And everybody responds differently to this new Eve character. Did you know that you were only going to have a short break from the show when you initially found out about Juliette’s death? Bitsie Tulloch: Yes. Actually, it was supposed to be even shorter. Initially, there was supposed to be this dream sequence with – in the first episode back when Nick is dreaming of the funeral. But then he realized it’s a dream. So then it’s like this big questions. Where’s the body? Where’s the body? I know one of the producers had wanted me back on Episode 3. But I think it was ultimately decided and – that if they were really going to sell this and really have fun with this, really convince the fans that Juliette – you know Juliette was off the show and I wasn’t coming back. They wanted to extend it a little longer. Not too long. So I came back in 6 and I did film certain scenes for Episode 1. It was basically 2 through 5 that I was out for. But, it was actually – it was never supposed to be longer than Episode 6. If anything, it was going to be shorter. It felt like, I will say too, it felt like a lot longer for me because – and I think for the cast because all of us sort of had a hard time not being able to talk about it. It was decided that I wasn’t going to go to Comic-Con this year, which I was bummed about because I love Comic-Con. I love the panel. I love seeing all the fans. But also like, it just would have been too obvious I think that I might be coming back to the show if I had gone to Comic-Con. So that was the situation where it’s like I just had to take one for the team and stay in Portland. But yes, really not talking about it. And there were – there were a lot of sort of fun, clever things we had to do including me almost exclusively filming on the stages so that I can be hidden in case somebody’s taking photos of me out in Portland shooting. So it was a lot of stage work. What were some of the challenges in keeping your return a secret from the fans? 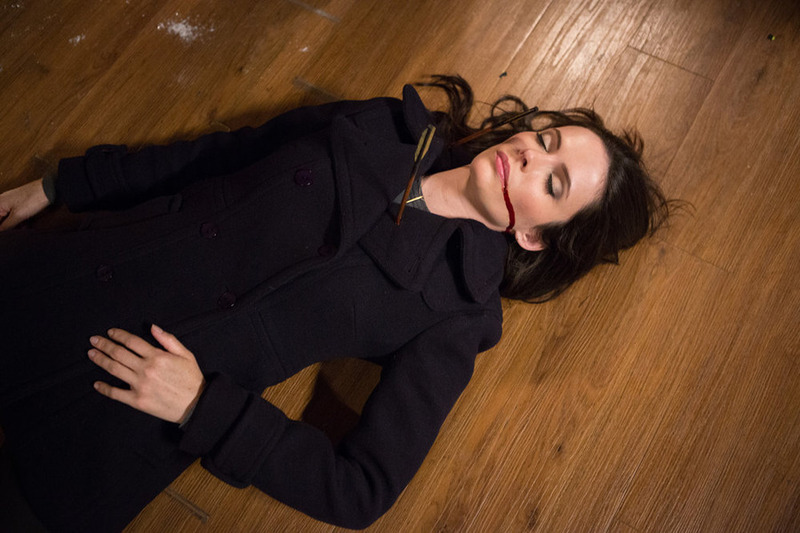 Bitsie Tulloch: Well, I mean my biggest challenge – I mean honestly, the Season 4 finale was in May. So it was almost – almost 7 months of having to […] probably of any cast member, I’m the most active on social media. I love interacting with the fans on Twitter and Instagram and Facebook. It felt like what I would say very pointedly is Juliette is dead because she effectively is. But I never said, “I’m not coming back [to] Grimm” because I didn’t want to flat out lie. I would say, “I know. It’s such a bummer, but yes, Juliette’s – you know Juliette’s not coming back” … knowing what was happening. I also love to always Tweet behind the scenes photos while I’m on set of cool stuff that’s going on. So it was about 7 months of you know when I did post a photo, I would say I was visiting someone on set. Like, “Oh, visiting David.” And one of the things that actually sort of saved us in a huge respect is the fact that I’m dating David Giuntoli in real life, too. So a lot of people just assumed when they would see me out and about in Portland or knowing that I was still in Portland, they just assumed that I was still there because I was dating David, not because I was filming. Like I said earlier, on the scripts, typically it would say Juliette – Bitsie Tulloch in third position. And when this new character came about, we had to basically come up with an alias which was my legal first and middle name which is Elizabeth Andrea. Then they had – they bumped me down to like positon 10 or someone so nobody would guess that it was me in case somebody got a hold of the script. Or you know someone recycled the script and someone saw it. Also so that background actors or guest stars wouldn’t know that I was still on the show. They were really being tight lipped about it. My cast chair was taken away with my name on it. My – I have a sign on trailer door saying to please shut the door behind you because Henry, my dog, always goes to work with me and I don’t want him getting out, tt was like “Love Bitsie and Henry.” And that got blacked out. I mean there was no sign of my name anywhere. So everybody was really taking it seriously. I know the crew had a sit down at the beginning of the season being like this is serious. We do not want the secret getting out. We’ve got to you know. There was a lot of confusion with the first few directors. Aaron Lipstadt in particular because he would call me Elizabeth, Juliette, Eve, Bitsie. Like would basically run through a variety of names before he’d be like, “I don’t know. Just come here.” So yes, it was – it was tough. The hardest thing for me was definitely not interacting with the fans as much. You’ve played 3 different characters on the show. Do you have a favorite quality from each one of them? Bitsie Tulloch: That’s a great question. I would say Eve is just so laser focused and just nothing can sort of get her off her mission which is to you know accomplish basically eradicate Black Claw. That’s what she’s – that’s why in her head, she’s like that’s the only reason I’m alive right now and why I’m not wreaking havoc and destruction upon people I love. I’m going to focus everything. So she’s incredibly focused. It’s definitely probably a little harder to pick out a quality that I really loved about evil Juliette other than I guess I sort of respect just how almost like maniacal she was and open about it. And just sort of towards the end, when you see this evolution, because the very beginning […] she was really fighting it. She didn’t want it. Then towards the end, it’s like “Well, I can’t control it. So I might as well embrace it.” It was almost like kind of flying your freak flag sort of a thing. It was what it was. She was like, “This is who I am now. I’ve tried my best to get rid of it. I don’t know how. Done. This is who I am. And I’m going to embrace the new me.” Then with Juliette, I always really liked her because she was so – so well intentioned and so thoughtful and really just so in love with Nick and had really made a lot of sacrifices for him. Obviously, numerous sacrifices by choosing to stay with him and live with him and basically being [in] constant danger. 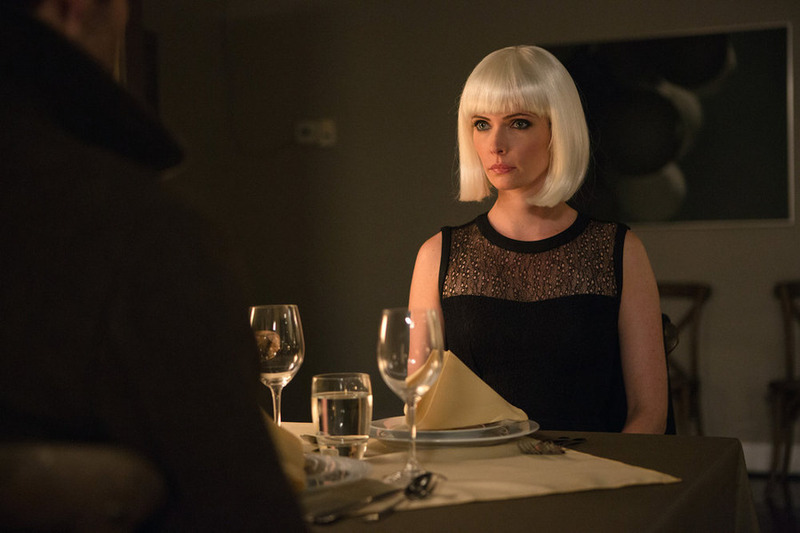 Do you think [Adalind] becoming pregnant with Nick’s child helped Juliette to go in the direction she went? Bitsie Tulloch: She was already kind of heading in a dark direction anyway. But no, I think ultimately, Juliette was like, “That should have been my baby.” Also, it raises a lot of sort of moral questions which is that Nick did not know he was sleeping with Adalind when she got pregnant. He thought he was sleeping with Juliette. So, that’s – that’s a question that I’ve actually seen a lot of fans raising on Twitter and Facebook. Like, does he have to take care of this baby? He didn’t know. But, I think the new character, Eve, does not have an emotional attachment to the baby or to Adalind. But Juliette in that moment, did it send her spiraling downward further? Yes. I’m sure it did. But she was on that trajectory anyway. How much will we see about what happened to Juliette to bring her to Eve? Bitsie Tulloch: They don’t – yes, they don’t actually get into it that much. You will see snippets of how she trained. There’s a really cool – I want to say it’s in like Episode 8 or 9, there’s a cool scene. Just like, she’s so physically powerful. But she doesn’t even train like normal people. So you’ll see some of that. But they don’t go too far. I don’t know. That might be a plan down the road where they’re going to do flashbacks of. But a lot of it is really more eluded to and sort of discussed, but not delved into per say. How have you and the cast shifted from viewing and reacting to you as Juliette to Eve? Bitsie Tulloch: That’s a good question. I haven’t – I’ve pretty much interacted and I’m not going to say who. I’ve interacted – or Eve has interacted with almost everyone. Everybody has sort of had different reactions to her. I guess honestly the answer is when I’m in character, it’s not that hard because like I said earlier, she is just so focused. It almost feels like you know with Nick, there’s just a – maybe just the tiniest little tug. But she’s not even going to go there. She’s not even going to let her mind go there or her heart go there because she’s like, “I’m a new person. Juliette is dead. I’m really just here to get this job done. End of story.” So as an actor, it’s real fun. We’re always goofing around. The cast is really close, so it’s always a little funny when we go from like sitting in the green room and everyone’s messing around to all of a sudden, I’m kind of line, “Nobody talk to me. I need to be focused.” I’ll pull myself away a little bit before I start a scene and remind myself, “I’m not part of this gang anymore. I’m a new person.” I just have to get the job done. How did the producers break it to you that your character was dying but not dying? Bitsie Tulloch: There’s kind of a funny story because I in particular, I’m close with a lot of the crew. At various points over the proceeding four years, I would like call the producers and say, “Well, where are we going with this storyline?” And they’re like, “How do you know about that?” I would say, “Well, I’m not telling who, but somebody told me.” So I had like – I had certain members of the crew who would just like flat out tell me because they will see an outline for an episode before the cast sees the script. So what end up happening is the producers were releasing the outline to the crew and the production crew up in Portland that afternoon. The conversation went down in March. They’re releasing an outline and they had to call me because they knew the second the crew got a hold of that outline that they were going to be telling me, calling me and being like Juliette dies. Do you actually die? Are you off the show? And they didn’t want me to think at any point that I was actually dead. So they called me and they said, “Just so you know, we know that your friends with everyone and so they’re probably going to tell you, you’re going to get called. But we’re releasing an outline today where Juliette dies. But don’t worry, you know you’re not off the show. Our idea is that you’re going to be reborn as – and sort of reworked into a Nikita like character.” So that’s – that’s what – how that conversation went down and then it was fine. I was just curious to read about then new character and what she was going to be like.